Varsity Inn is ideally situated near local academic centers and medical facilities, so when you stay with us, you won't waste time in transit. We offer comfortable, pet-friendly, and affordable accommodations just minutes away from The Ohio State University and major medical facilities like The Ohio State University Wexner Medical Center. 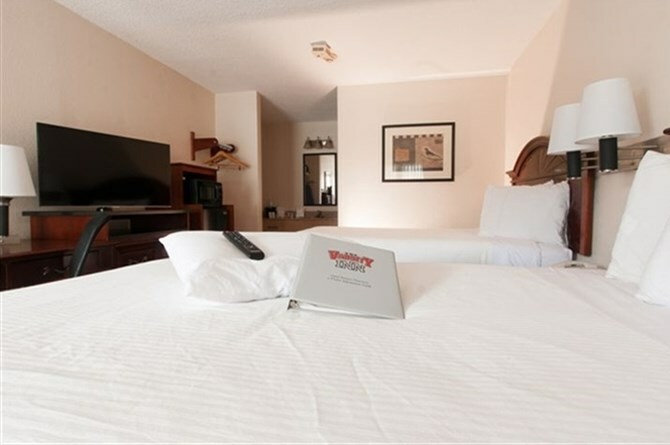 Our Columbus hotel is well-equipped for extended stays, so if your business with Columbus area schools or hospitals requires a longer stay, Varsity Inn has accommodations with your needs in mind. 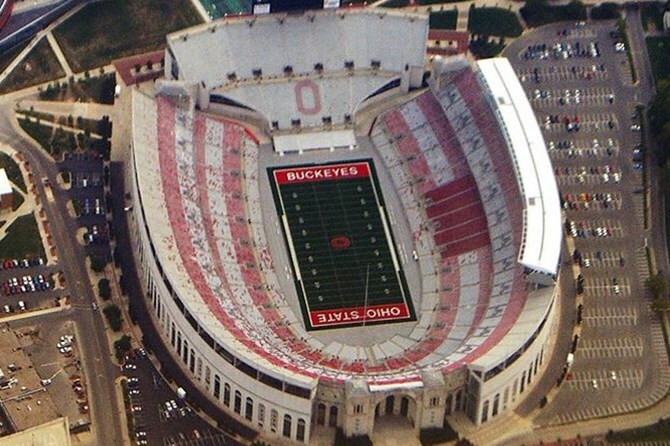 Founded in 1870, The Ohio State University offers diverse and internationally acclaimed academic and athletic programs. With campuses all around Ohio, OSU has much to offer prospective students. The main campus in Columbus is just minutes away from Varsity Inn. Offering two-year technical, Associates of Arts, and Associates of Science degrees, as well as shorter-term training and continuing education, Columbus State Community College offers more than 30,000 students the flexible class schedules and convenient Columbus location they require. Just 4 miles from the Columbus campus, our hotel is an advantageous choice whether you're in town for training, a student graduation, or a tour of the campus. Founded in 1879, the Columbus College of Art & Design provides programs of study in many creative disciplines, including advertising, graphic design, animation, fashion design, interior design, and photography. We're only 4 miles from this prestigious school. One of the largest academic medical centers in the country, the The Ohio State University Wexner Medical Center offers personalized patient care in areas such as cancer treatment, critical care, heart care, and neuroscience. Located just minutes away from this state-of-the-art health care facility, Varsity Inn offers peaceful, well-appointed accommodations you'll enjoy coming back to at the end of the day. Lauded as one of the nation's top hospitals, Ross Heart and Vascular Center at OSU provides state-of-the-art facilities for heart and vascular procedures, including angioplasties, open-heart surgery, cardiovascular imaging, vascular interventions, minimally invasive robotic procedures, and a full range of testing and laboratory services for diagnosing cardiovascular disease. The nation's leading oncologists, researchers, and educators work together in this advanced facility to offer dynamic patient care. The Varsity Inn is a few minutes from the The Ohio State University Comprehensive Cancer Center, and we offer comfortable accommodations with thoughtful amenities like free local calls, free high-speed wireless Internet, and microwaves and refrigerators (select rooms). Opened in 1892, the Riverside Methodist Hospital is a leading facility for heart and vascular care, orthopedics, maternity care, and neurosciences. Located just 3 miles from the Varsity Inn, this state-of-the-art facility is an easy commute from our hotel. The McConnell Heart Health Center believes that building a healthy life goes beyond physical activity, wellness education, or even medical intervention; it takes a balanced combination of all these things. The McConnell Heart Health Center is dedicated to providing a holistic approach to cardiovascular health care. As one of the largest facilities of its kind in the world, The Ohio State University Veterinary Medical Center offers specialized care for companion animals as well as farm animals and horses. If you're in town to bring your pet for treatment at this exceptional facility, Varsity Inn has the perfect accommodations for your stay. 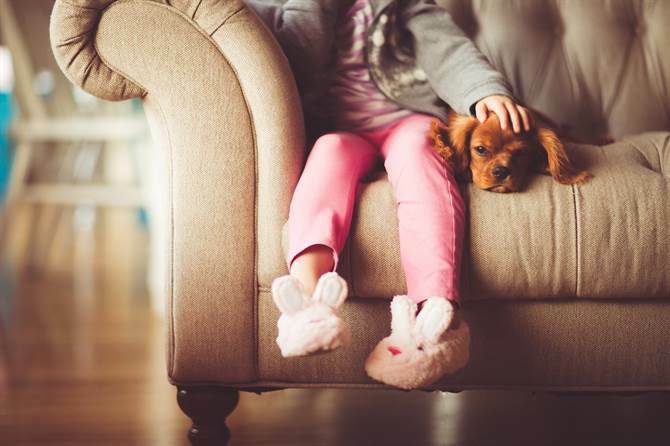 Our pet-friendly hotel is well-equipped to suit your needs while remaining minutes from the Center.